A person who struck several people in a traffic collision at Oakland International Airport's traffic curb on Tuesday evening was arrested on suspicion of felony reckless driving causing injury and driving without a license, according to the Alameda County Sheriff's Office. Preliminary investigation shows the collision, which occurred about 6:30 p.m., was an accident after Oakland resident Juan Pablo, 54, jumped a curb and crashed into Terminal 1, striking pedestrians, according to the Sheriff's Office. Three people were injured by the vehicle, and one person was hurt after being struck by flying luggage, officials said. "Your loved ones are safe," sheriff's Sgt. Ray Kelly said. 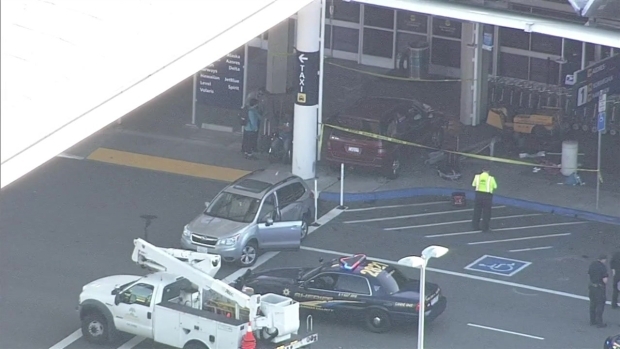 Four people were injured following a collision Tuesday at Oakland International Airport's Terminal 1, according to the Alameda County Sheriff's Office. Terry McSweeney reports. 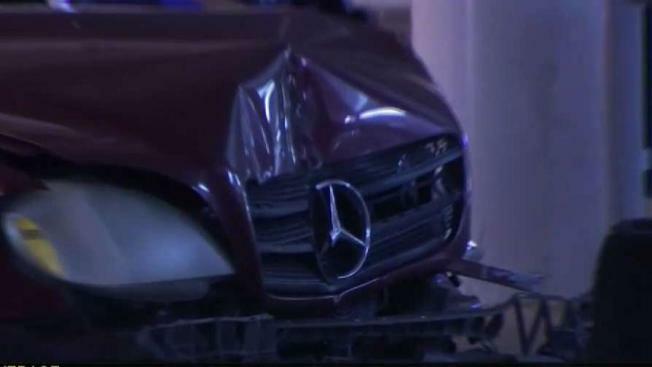 Kelly said it appears the collision occurred when Pablo got his foot stuck on the accelerator of the Mercedes-Benz SUV. Kelly said the driver of the SUV did not report any injuries. The crash investigation sparked heavy traffic and backed up vehicles heading into the airport for several miles. Many passengers were seen exiting cars stuck in traffic and walking to the airport. Pablo was later arrested for felony reckless driving causing injury, sheriff's officials said. The driver also did not have a license. 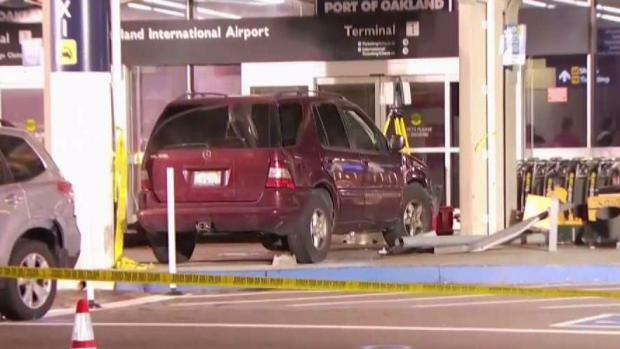 The airport reopened to traffic just before 8 p.m.
Three people were injured after a vehicle crashed into Terminal 1 at Oakland International Airport.